You are here: Home / Ent. / Film Director Spike Lee’s Best Director Nomination Is Long Overdue. Film Director Spike Lee’s Best Director Nomination Is Long Overdue. In 2015 and 2016, we in the Urban League Movement joined a movement against the Academy of Motion Picture Arts and Sciences embodied in the hashtag, “#OscarsSoWhite. At the time, the voting membership of the Academy was reported to be 94 percent White and and 77 percent male. Whether a direct result of these changes or not, Spike Lee’s long-awaited first-time nomination for Best Director is a welcome development, as is the nomination of his film, BlacKkKlansman, for Best Picture. Lee previously was nominated for Best Screenplay for Do The Right Thing, and 4 Little Girlsreceived a Best Documentary Feature nomination, but this is the first time in his 30-year career he’s been acknowledged for his main contribution to American culture as a director of provocative and artistic feature films. I had the honor to participate in two of Lee’s documentary films: When the Levees Broke: A Requiem in Four Acts, a 2006 HBO production about Hurricane Katrina and the destruction it wrought on my hometown of New Orleans, and its 2010 sequel, If God Is Willing and da Creek Don’t Rise. The series serves as a powerful and thought-provoking analysis of the issues of class and race in national disaster response. 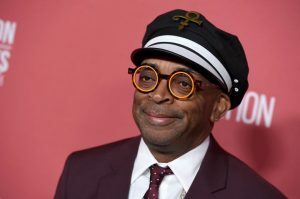 Spike Lee is a pioneering director par excellence who sets trends both in his selection of characters for his films like Jungle Fever, and in his technical camera work. I like the fact that he casts himself in some of his movies such as Malcolm X, much like Alfred Hitchcock cast himself in many of his films, and also his particular attention to the evolution of African American music,and fashion styles. Spike is an artist whose work comes together into entertaining, and profit making films. I am glad the he has been nominated.